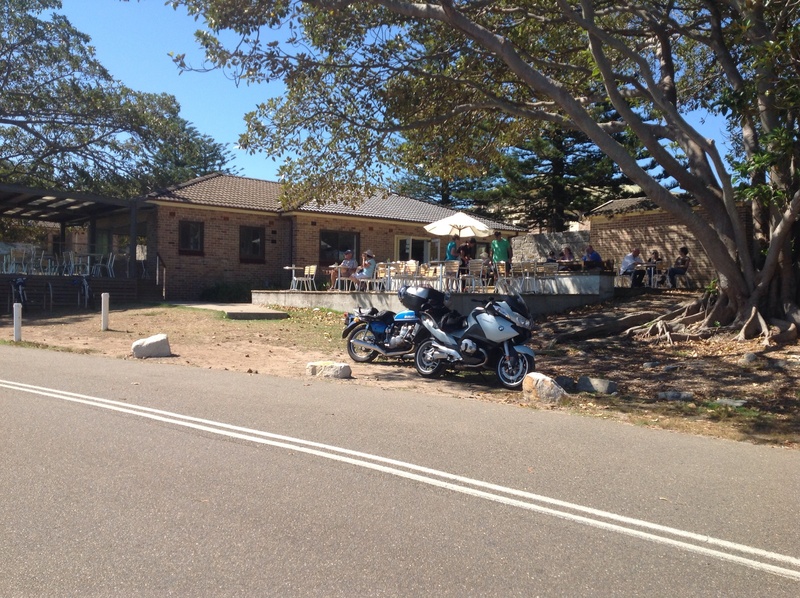 Bella Vista Cafe is situated in North Heads National Park in a picturesque setting with water views over the harbour. There is a nice outdoor terrace that is shaded by large leafy trees to sit under on a sunny day. There is also seating inside or an attractive covered verandah which still allows magnificent views. On weekends Bella Vista Cafe can be busy, especially on a fine day. If you can manage time for breakfast or lunch on a week day it is the most tranquil setting you will find. The food is good. I went with friends last weekend and we all enjoyed our meals. 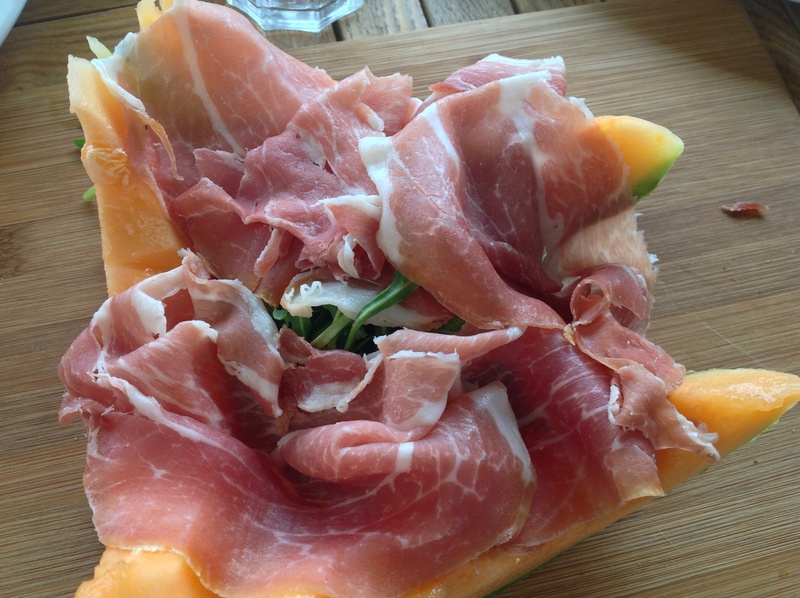 I choose the Prosciutto e Melone which was light and tasty. There were slices of very sweet rock melon on the plate with a very generous amount of thinly sliced prosciutto over the melon that were delicate and delicious. 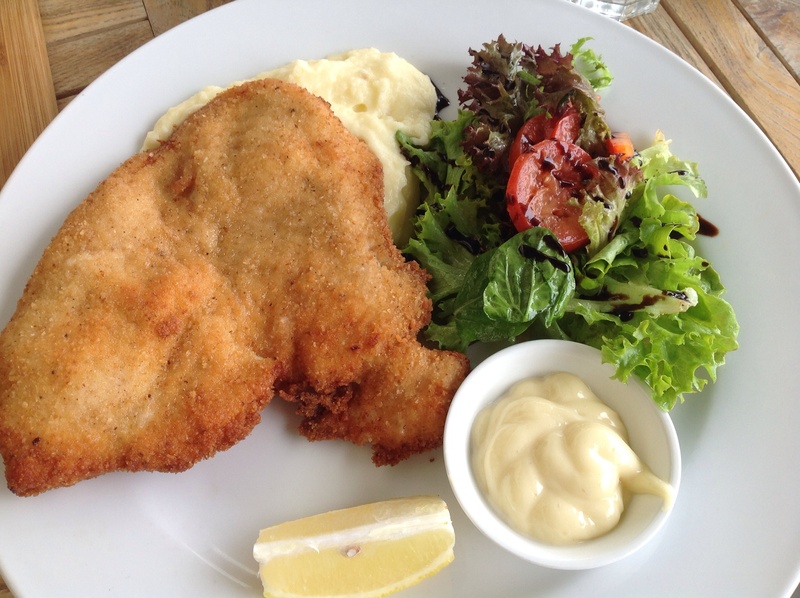 My friends that were with me on the day made good choices; they both ordered the Chicken Schnitzel, which was served with light creamy mashed potato delicately flavoured with rosemary. Also as a side dish there was a fresh crisp green salad; they enjoyed the dish and said it was satisfying. 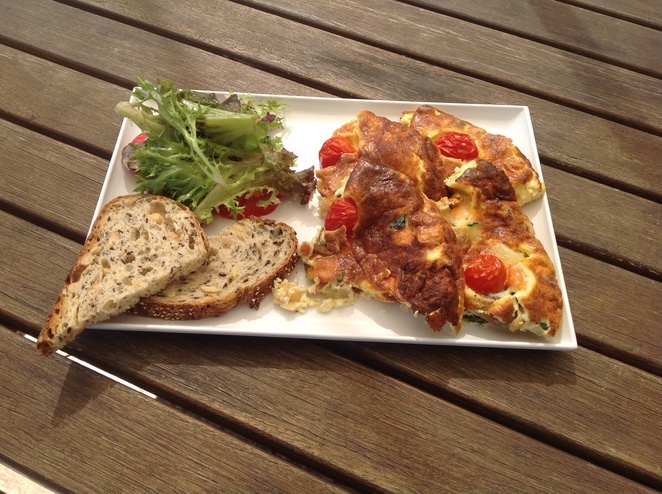 On another occasion I ordered a Frittata of oven-baked vegetables which was a treat. The frittata had a lovely light texture and was served with a mixed green salad and thinly sliced multigrain toast. The Prosciutto e Melone was nine dollars. The Chicken Schnitzel twenty three dollars and the Frittata fourteen dollars. 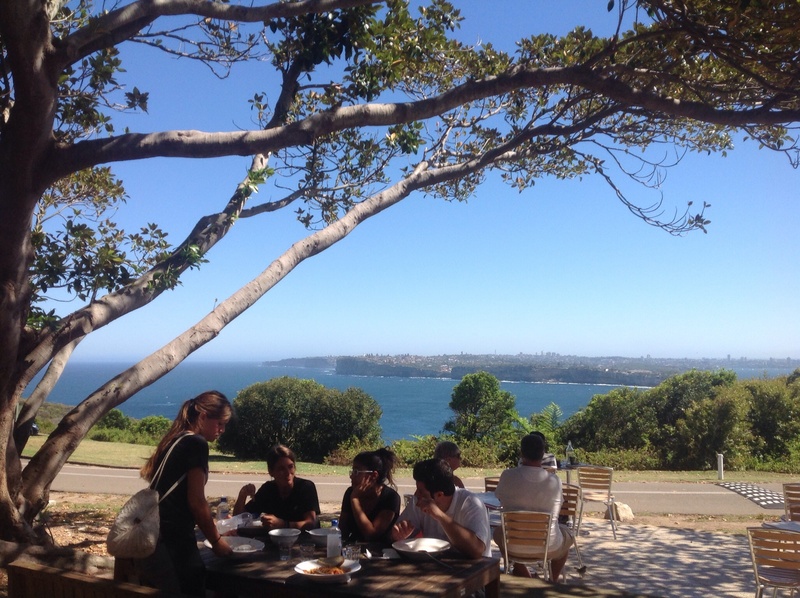 So you can enjoy a delicious lunch that is reasonably priced while enjoying one of the best views in Sydney. Bella Vista Cafe is open for breakfast from 8 30am; you can order fruit salad, French toast or their special big breakfast; Lunch is from 11 30am and you can sample the lunch dishes listed here and there is also a Specials Boards to choose from. Bella Vista Cafe has free parking and toilet facilities just behind the cafe which are situated in the North Head Sanctuary. You will also find some wonderful walks including a recently done memorial walk with nice paved paths overlooking the harbour. Bella Vista Cafe is a family business run by Gabriella Freddo and her daughter, Loren and son, Daniel. Bella Vista Cafe was run by volunteers until two years ago. It has had a major make over since being taken over by Gabriella. Their is to be more remodelling in the months to come. This delightful cafe will just get better and better! It is about a fifty minute walk from the centre of Manly or buses run from Manly Wharf; however you get there, it is worth the effort!